The ASUS SDRW-08D2S-U offers consumers and professionals a complete DVD portable design burning solution. The stylish and attractive DVD burner utilizes the high-speed USB 2.0 interface with the ability to record on 8X DVD+R, 8X DVD+RW, 6X DVD-R and 5X DVD-RAM and access 8X DVD-ROM and 5X DVD-RAM formats. The good: The ASUS Zenbook UX31E-DH52 13.3-Inch Thin and Light Ultrabook boasts sleek, pristine design, excellent-sounding speakers, a higher-resolution screen than the MacBook Air, and a better price for nearly identical specs. 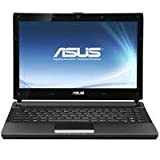 The Asus Zenbook UX31E Laptop is an excellent-looking Windows Ultrabook laptop that matches the MacBook Air step for step with an even better price. Fans of great audio, high-resolution screens and lots of ports will be happy; keyboard/touch pad aficionados will be disappointed. It looks like nothing you've ever seen. It feels like nothing you've ever felt. It's breathtakingly beautiful. It's ultra-thin – with a minimum thickness of only .12". It's ultra-light – the brushed aluminum alloy body weighs only 2.87bs. It's ultra-fast – powerful 2nd Generation Intel® Core™ i5 processor, SATA 3.0 SSD and USB 3.0. It resumes active mode in just 2 seconds, and the SonicMaster Audio delivers astounding sound. Introduce yourself to the most incredible Ultrabook™, the ASUS ZENBOOK™ – it will be love at first sight. Embrace mobile computing in style with the new ASUS Eee PC 1015PN. The 1015pn packs the latest ATOM CPU from Intel, the Dual Core N570, which consumes less electrical power yet has more processing power than its predecessors, allowing the 1015pn to get up to 9.5 hours of battery life. Dedicated graphics from the NVidia Ion 2 graphics processor provide stutter-free viewing of HD content, and an HDMI port provides a convenient connection to a TV or LED monitor. With built-in Wi-Fi 802.11b/g/n, users can stay connected wherever they go. The 92%-scaled ergonomic keyboard and Multi-Touch touchpad make it a breeze to type and navigate through content. The 1015pn's 250GB hard drive provides a wealth of storage. The 1015pn also features a chiclet keyboard for added style and comfort. ASUS Eee PC Seashell Optical Mouse: Wired USB optical mouse with 1000 dpi high sensor resolution. The Seashell Optical Mouse is the ideal companion for your Eee PC Seashell. Its stylish and compact design ensures a hassle-free solution for on-the-go computing. Turn up the volume on the 15.6-inch N53SV notebook and prepare to be impressed. Featuring ASUS SonicMaster technology-co-developed by world-renowned audio experts at Bang and Olufsen ICEpower-and a unique top-mounted speaker design, this multimedia powerhouse combines hardware and audio for an unsurpassed, ear-pleasing experience. Boasting new NVIDIA GeForce GT 540M graphics, the N53SV excels when performing graphic-intensive tasks like video editing, DirectX 11-enabled gaming, and graphic rendering. And with ASUS VideoMagic 3-in-1 software package, you get image-enhancing programs like PowerDVD 9 with True Theatre that instantly scales DVD-quality to Full 1080p HD with smoother frame rates so you can enjoy videos and movies in the quality they deserve. Powered by the Intel Core i7-2630QM quad-core processor with Intel Turbo Boost Technology, the N53SV delivers the multitasking muscle and smart performance that senses the tasks at hand and dynamically boosts the processor for a stutter-free experience. Specially built into the N53SV, the ASUS Super Hybrid Engine extends battery life via the ASUS Power4Gear Hybrid utility. The N53SV also comes with SuperSpeed USB 3.0 that charges USB 3.0-enabled devices quickly and transfer files from USB storage devices to your notebook up to 10 times faster than previous generation USB 2.0 speeds.The N53SV features a 2.0 megapixel webcam with security lens cover, ASUS Splendid technology, multi-touch trackpad, Express Gate, new wave keyboard, and a brushed aluminum design.